Tracing the Fenton estate, Cappagh parish, Co Tyrone. Tracing the ownership of land can be extremely difficult. Over time land often exchanged hands many times. Tracking the ownership of a townland can be a frustrating task due to gaps in the records. And yet it can be a rewarding task because it can often open up new pathways of investigation for the local historian and genealogist. This was a task I tried to undertake when researching a family by the name of Fenton who resided in the townland of Urney in Urney parish, county Tyrone from the mid-seventeenth century. The Fenton family of Urney can be traced back to a Manasseh Fenton who can be found in the 1660 poll book, 1664 hearth returns and 1668 subsidy rolls for the parish. 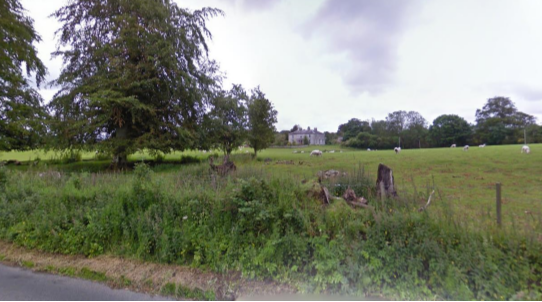 At some point in the history of the family they came into possession of an estate of four townlands in the parish of Cappagh in Co Tyrone but were absentee landlords as they continued to live in the parish of Urney until 1814. The Fenton family used the graveyard attached to Urney parish Church and an old headstone (no longer readable) commemorated the death of the said Manasseh Fenton. 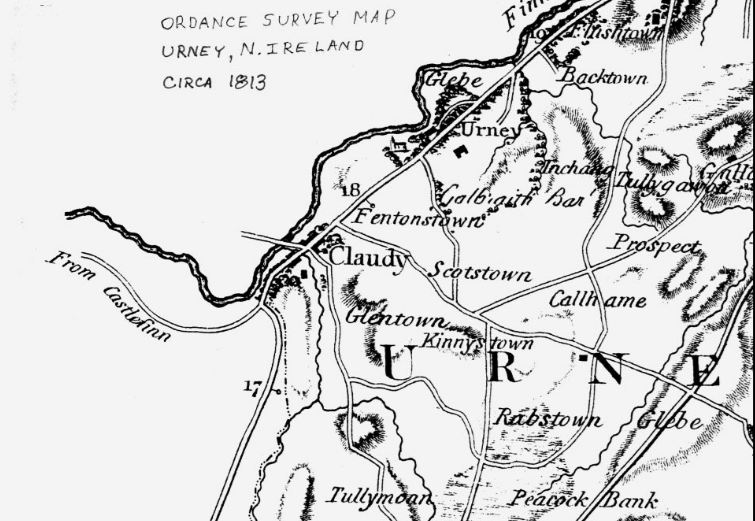 The family became so connected with the parish of Urney there was a place named for them called Fentonstown near Clady. The location can be viewed on early O.S. maps but appears to be no longer in use. One can see the name in the map below dated c.1813. The Fenton family resided on a 32 acre farm the parish of Urney in a residence they called Maryville. John Fenton (c.1777-1861) sold the house and property to Sir James Galbraith in 1814 and he renovated and upgraded the house. It was renamed Urney Park. The Fenton family were absentee landlords for the 4 townlands of Lislap, Legacurry, Lurganboy and Beltany in the parish of Cappagh. The family was in occupation of these lands since at least 1721. The family held these lands in fee. Fee farm grant was equivalent to ownership as long as the fixed rental was paid annually to the head landlord hence the money paid was called chief rent. It was really a minimal payment. The chief tenant was practically the owner of the land. In tracing the ownership and history of these four townlands it was hoped that new connections and avenues of research would be opened up in the search for the Fenton family under investigation. The Fenton estate consisted of the townlands of Lislap, Legacurry, Lurganboy and Beltany. The four townlands under investigation formed part of the Newtown and Lislap estate (or Newtownstewart estate) formerly known in Gaelic as the bailiboe of Beltany. 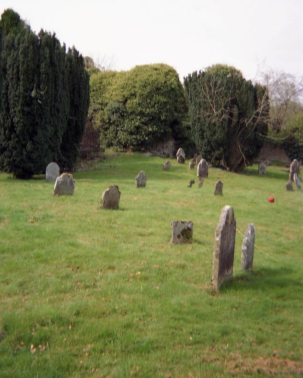 The barony of Strabane was divided into 11 proportions in the plantation scheme and granted to eight undertakers. James Clapham was allocated two portions called Newtown and Lislapp. James Clapham (First patentee) Newtown & Lislapp, 2000 acres, Strabane Barony, Tyrone (in reality these two portions contained 13500 and 9050 acres respectively). He was a servant of the Royal Household of James VI Scotland (James I of England) and received his proportion on orders from the King. His land was assigned before that of his chief undertaker, Abercorn. The Ulster patent was dated 29 May 1610 and in Sept 1610 he took possession in person. He impressed Chichester with his diligence and in May 1611 was strongly recommended by the king. Carew’s report stated that Clapham was preparing to ‘people his Lande’ and had a competent store of arms on the proportion. A land dispute with am English undertaker in 1611 was settled to their mutual satisfaction. A 'sufficient house and bawn’ was found ready built on his proportion. Bodley report: has divided his land among his four sons, who had not planted half the required number of tenants. (Source: The Scottish Migration to Ulster in the reign of James I’. M. Perceval Maxwell). According to Hill the 'two small proportions' of Newtowne and Lislapp included the following lands, viz., Cloghogall,Creighduffe, Galla, Newtowne, Castlemoyle, Straghcalter, Doontebrianeroe, Corlea, Shancaslan,[ ], Burnumner-Owen, Racreagh, Doonteig,Tallamuck, Leaglan, Tullagh, [ ], Killenure, Cashell, Clontecanonty, Colkillkarne, Bareagh, Gortnacreagh, Lytterbannagher, Baltyrry, Leightenesboy, Cavangarvan, Lysneshannah, Lysnerey, Lyslapp, Gortcrannagh, Tibberrekeragh and Gregaghey, onetowne-land each ; in all 2,000 (acres). Glebe lands containing 120 acres, excepting from this grant. The premises erected into the manor of Newtowne, with 600 acres of demesne, and a court baron. Rent 10l.13s. 4d . English. To hold forever, as of the castle of Dublin, in common socage. 29 May, 8th  ('Plantation of Ulster', George Hill, 1877ps289-290). In 1615, Clapham sold his estate to Robert Newcomen an Englishman for £1400 (Strabane barony during the Ulster Plantation, 1607-1641 ed. Robert J Hunter, UHF Belfast 2011 p20). Newcomen found it necessary to rebuild the castle and bawn. According to Pynnar, "Sir Robert Newcomen Kt hath 2000 acres called Newtoune and Lislap. He is but newly come into it and he hath rebuilt the Castle, which is now four stories high, ready to have the roof set up and two sides of the Bawne is finished being sixteen feet high, the other two sides are going up a pace. There is a good town in building before the castle, wherein is already fourteen houses all inhabited by English and Scottish tenants". I find planted and estated upon this land of British families. Freeholders four, viz 3 having 120 acres le piece, 1 having 60 acres. Lessees for Years, nine viz 2 having 180 acres le piece; 2 having 120 acres le piece; 4 having 60 acres le piece; 1 having 21 acres. Cottager’s twelve viz, Each of these have a house and garden plot and some commons for grasing of cows. The lands subsequently passed to Sir William Stewart who was Sir Robert Newcomen’s son in law. One might assume the transfer occurred in some family transaction. The actual date of transfer is not known but Sir William Stewart was in possession of it before the year 1629. Sir Robert Newcomen (made baronet 1623) died 28 Sept 1629 may have made arrangements for his son in law to take possession before his death. Sir William Stewart, who already held land in the district since 1613 married Sir Robert Newcomen’s second daughter, Frances, and was in possession of the castle in Newtownstewart by 1629 (letters patent issued on 26 July 1629). Both town and castle were named after him, and it became the principal Stewart family residence. Sir William Stewart died in 1647, leaving his estates at Newtownstewart to his son, Sir Alexander Stewart, who was killed at the Battle of Dunbar in 1650 fighting against Oliver Cromwell. Despite this, the Stewart estate remained in the hands of his widow. At an inquisition held at Augher on 4 May 1631 into the estate of William Hamilton (eldest son of Sir Claud), late of Munterlony there is found at the ending. 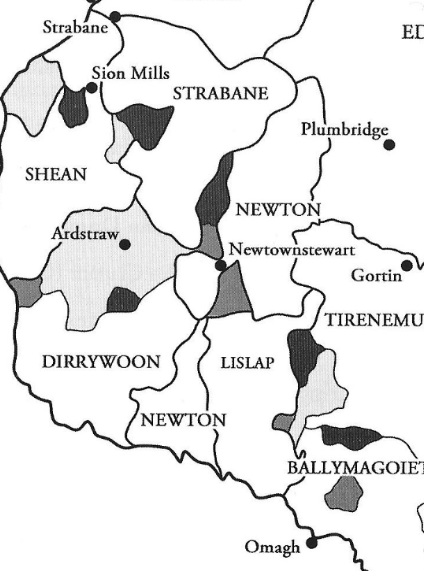 ‘the bailiboe called Lentany (Beltany) in the proportion of Lyslap, barony of Strabane, county of Tyrone, being demised by the said Sir William Stewart unto William Brysbane, Esq and from the said William Brisbane set unto Thomas Grahame, is now pleughed (sic), pastured and grazed upon by Manus O’Calenane, Art Moynagh and others, meer Irish, for which cause the rents and profits of the said bailiboe are now become forfetited. Sir William Stewart, besides these properties also acquired others in the barony of Strabane. Brisbane family (Brothers John and William Brisbane). John Brisbane was an early Scots settler in Co. Donegal 9 July 1617 of Gortlush in the parish of All Saints. He was one of the first incorporators of Strabane and also appears as a merchant paying customs duty at Derry port (9 Nov 1614 John Bersban exported to Renfrew 5 cwt cheese value £1-13-4 and 4 vessels of butter, 3 cwt value £2). John Brisbane, a burgess was 'yet another who became a freeholder under the Earl of Abercorn' (Strabane barony during the Ulster Plantation 1607-1621 ed. RH Hunter UHF, 2011 p.34). John Brisbane was a merchant based at Strabane and was also granted a rural freehold near the town in 1622. Brisbane was probably of the Bishopton branch of the family in Renfrewshire. By 1622 he had disposed of his freehold to his brother William Brisbane, a man who was to play a much more significant role in the county of Tyrone. John still retained a landed interest in Strabane barony for in 1622 he appears as a leaseholder on the estate owned by Sir Robert Newcomen. William Brisbane was recorded as of Ardstraw in 1625. William Brisbane served as high-sheriff for Co Tyrone in 1628 and was mustered in the town of Strabane in 1630 with sword and pike. William Brisbane of Strabane was granted Irish denization that is made an Irish citizen on 19 July 1631. In 1636 he was provost of Strabane and quarter sessions were held before him and other Justices of the Peace there in July of that year (summonister court records).William Brisbane was a captain of Sir William Stewart’s regiment of foot 1642-1646 (Army List of the Ulster British Forces, 1642-1646).William Brisbane had taken possession of the four townlands of Cappagh in a fee farm grant from the Stewarts. William Brisbane senior was deceased before 1654 as it was is son William Brisbane junior who was in occupation of the four townlands at the time of the Civil Survey completed in 1654. William Birsbean, Scottish protestant – Lislapp, Lurgoboy & Belltany; 3 bailiboes of 190 acres of value £16 (year 1640). William Brisbean claymeth a fee farme of 3 bailiboes of Lislapp, Lurgoboy & Beltany as heyr (sic) to William Birsbean his father who had a deade (deed) thereof from the then proprietor. These lands were granted to William Stewart knight & baronet dec(eased) the father of the above named Alexander Stewart by letters patent. It seems likely that William Brisbane junior died close to the year 1666 as the Prerogative will of one William Brisbane, Esq of Altecladdy, Tyrone was probated in 1666. Altecladdy is the old name for Clady which is in Ardstraw parish. This fact brings us very close to our Fenton family who resided at Urney townland which is contiguous with Clady. William Brisbane of Altecladdy Co Tyrone, Esq will granted to William Brisbane the son 10 Sept 1666. The younger William Brisbane was married to Sarah Butler (relation -- possibly a sister or daughter of George Butler of Culdaff, Donegal died 1670 as his will mentions Wm Brisbane next of kin). William Brisben was described of Strabane Co Tyrone, Esq will dated Sept 1676 granted to Sarah Brisben the widow and relict (Betham extracts). Our next reference to these four townlands is contained in the will of John Fenton in 1721. How did John Fenton come into possession of the four townlands in question? There are several possibilities as to how Manasseh Fenton or his descendant John Fenton came into possession of the fee farm grant previously in possession of William Brisbane (died c1676). · The Fentons purchased the estate form the Brisbane's (or near relations the Butlers). · The Fentons were heirs to the land and inherited as part of the will of William Brisbane junior (died c 1676) or his widow's family the Butlers. It is entirely possible that the wife of either Manasseh Fenton or John Fenton was a Brisbane. The Brisbane and Fenton families were near neighbours so this makes that possibility more likely. As mentioned, the next reference we have or the four townlands is contained in the will of John Fenton in 1721. "As for my son John Fenton I constitute and appoint him to be sole heir of all my lands, which are four towns Lyslap, Lurganbuoy, Glencorry and GortBranachan (Gortgranagh?) with all ye appurtenances being and lying in the manor of Newtown Steward and this to be held and occupied and enjoyed by him his heirs male lawfully begotten of his body paying thereout yearly the chief rent due to ye Rt Hon Lord Mountjoy" (note - Glencory appears to be the original name of Legacurry ). There are a number of deeds recorded in the Registry of Deeds in Dublin by the Fenton family involving these four townlands in the eighteenth century. The next certified reference to ownership of these lands is to be found in the will of Benjamin Fenton (1730-1804). Known locally as Doctor Fenton, he was an apothecary in Strabane and was known to have an excellent wine cellar, which was broken into by villains on the night of 28th of May 1791 (Abercorn letters). 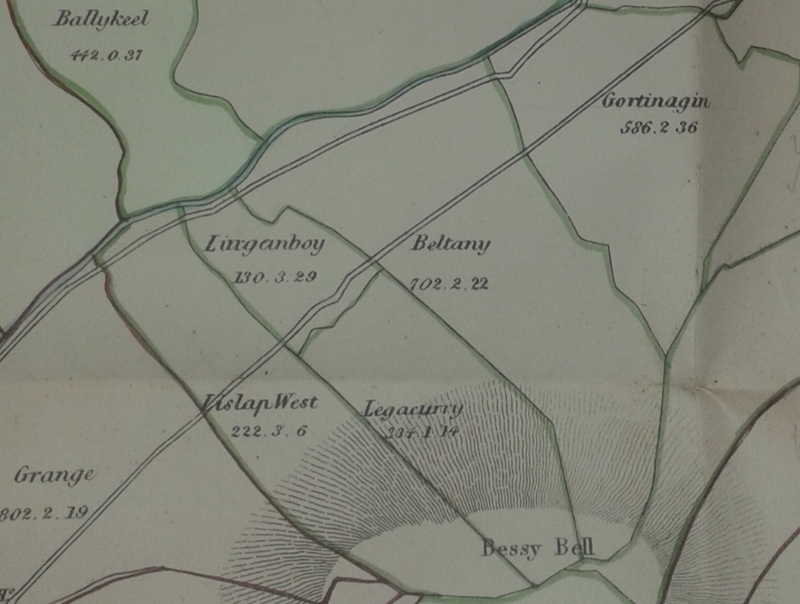 Benjamin Fenton's will of 1804 mentions the lands Lurganbuy, Lislap, Legchorey and Gortgranagh held in Fee Farm grant with an annual capital rent of £16 per annum (which were passed onto his son John). An act for vesting the Real Estates of the Rt Hon Charles John’, late Earl of Blesinton, deceased (1846). Charles John late Earl Blessington Viscount Mountjoy 1846 sale of estate - sale for payments of debts etc. Mention of an indenture dated 1814 with the following information. 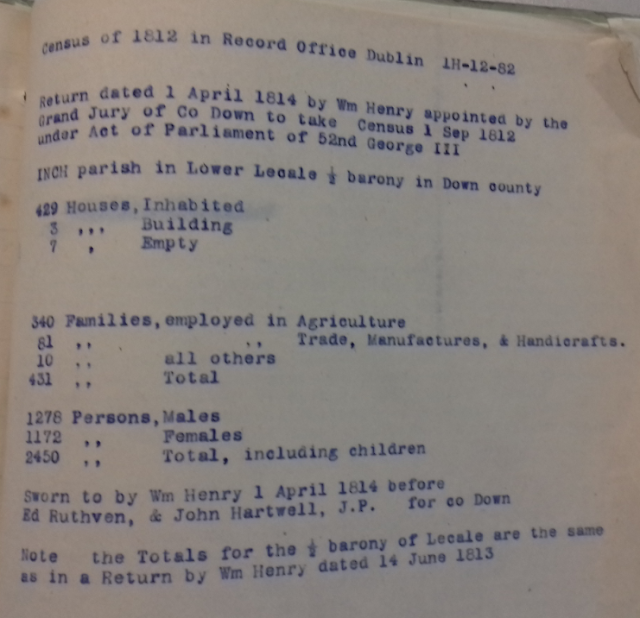 Yearly fee farm rent of £16 out of the lands of Lurganboy, Lislap, Gortgranagh & Legachorry, Co Tyrone in possession of the representatives of Robert McClintock & Benjamin Fenton. (Note – Benjamin Fenton’s wife was Catherine McClintock). John Fenton (c1777-1861) was in possession of said townlands at the time of Griffiths valuation (he was son of Benjamin Fenton). Upon his death the lands were transferred to his in laws the Oakley family. It seems likely that the land then was subsequently purchased by the tenants through the various land acts introduced in Ireland. This is a brief overview of the lands that came into possession of the Fenton family of Urney. There is a clear pattern of ownership (in order) Clapham Newcomen, Stewart, Brisbane, Fenton and Oakley. But there is still that gap in the records between the Brisbane and Fenton families that needs to be bridged in order to come to a fuller understanding of the history of the Fenton estate in Cappagh. LIMAVADY STREET NAMES FROM THE PAST:Limavady was known as Newtownlimavady until 1870 when the council decided to officially shorten the name. 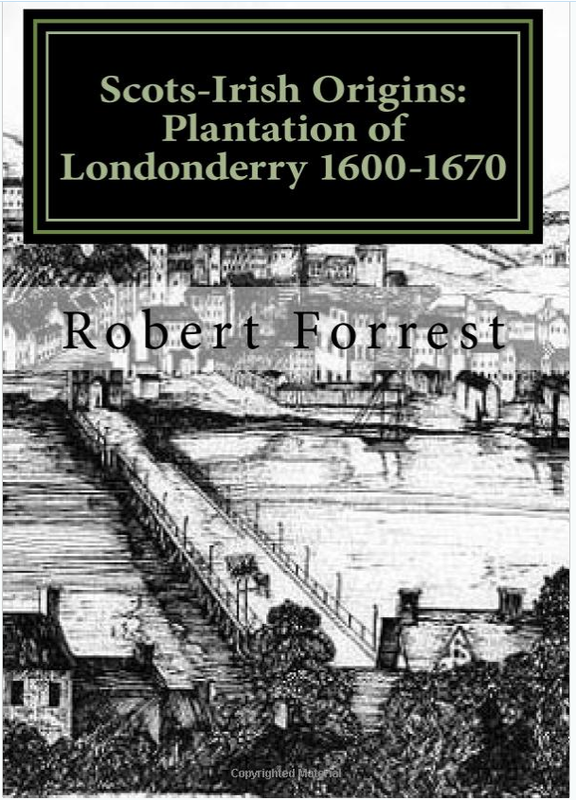 The new town of Limavady was a plantation settlement built by the servitor Sit Thomas Phillips who was given a large estate in the Roe valley in 1610. Phillips had settled at the old O'Cahan stronghold at Limavady on the banks of the River Roe. He decided to build a new plantation town a mile further downstream, which he called Newtowne. 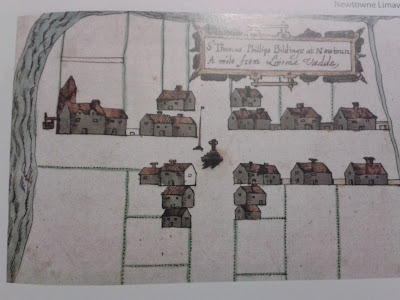 Raven's map of 1622 shows 'Sir Thomas Phillips buildinge at Newtowne, a mile from Limna Vadde, a village of 18 small houses, at a cross roads, with a stone cross at the centre''. Up until the time of the famine Limavady remained a relatively small town with essentially four main streets. The town grew substantially with the post-famine influx and as a result new houses and streets were constructed to meet the growing demand. New streets and new names came into existence. The first reliable statutory census of the population of Ireland was taken in 1821. An earlier census authorised by statute had been taken between 1813 and 1815. The results, however, were defective and neither printed nor presented to parliament. The census was a substantial failure. The census was to be statistical in nature only, although in a few baronies heads of households names were recorded (the returns for the six completed baronies of Dublin county, and the half-barony of Upper Lecale, Co. Down). The tithe system earmarked one-tenth of the produce of the land for the maintenance of the clergy of the established Church of Ireland. Until 1823 tithes could be paid in money or in kind (the Tithe Composition Act of that year stipulated that henceforth all tithes were to be paid in money). It was unpopular in Ulster because the Church of Ireland was a minority religion and both Presbyterians and Catholics resented paying the tithe to an alien church. Welcome to the Ulster Genealogy & Local History blog. I have a passionate interest in both family and local history as the two disciplines are inextricably linked. I have a particular interest in the Ulster Plantation and its social and economic impact in the period 1600-1800. This blog aims to shine a shaft of light into the past by revealing the sources that are available in this period that can unlock family and local history. I have twenty years research experience in the Public Record Office of Northern Ireland an incredible archive that has many miles of shelving containing unique records that cover primarily the historic nine counties of Ulster. 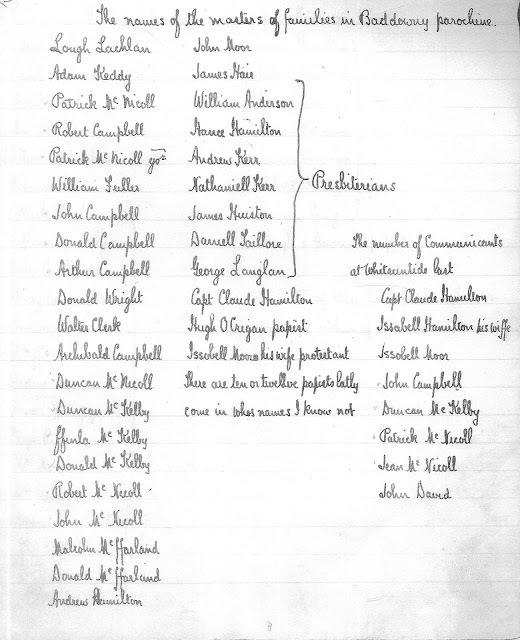 This blog will also focus on the methodologies of research that can lead to successful outcomes for those tracing their ancestors in Ulster in the period before civil registration, Irish genealogical research is difficult but not impossible. The key is to locate the sources that pertain to place since townland and parish are an essential component of successful genealogical research.